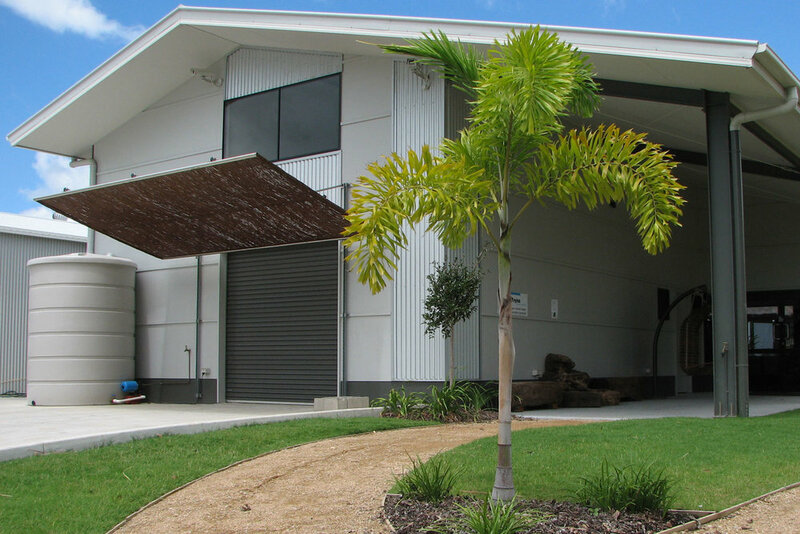 This site is located on an arterial road in Capalaba. Our client's brief was for a contemporary indoor / outdoor showroom to house items such as spas, gazebos, rainwater tanks and other outdoor lifestyle products. The design of the showroom was to maximize both visual and physical exposure from inside to outside. This award winning design achieved a welcoming showroom building, addresses the street intersection and provides maximum exposure to traffic. The design uses the landscaping as part of the display areas and incorporates large overhangs and lush landscaping as a background canvas for the products. Overall, the showroom exhibits an air of simplicity but with an elegance that comfortably coexists with the existing architecture of the locality. AAD Design achieved town planning approval for this development. Station Road is an industrial site in Darra. The brief was to provide a design for 10 independently functional warehouses, each equipped with a mezzanine floor and full semi-trailer access. This award winning design features a variety of panels of different colours and textures to personalise and differentiate between each tenancy. This treatment extended to the front of the building and provides an aesthetically appealing street presence. AAD Design achieved town planning approval for this development. 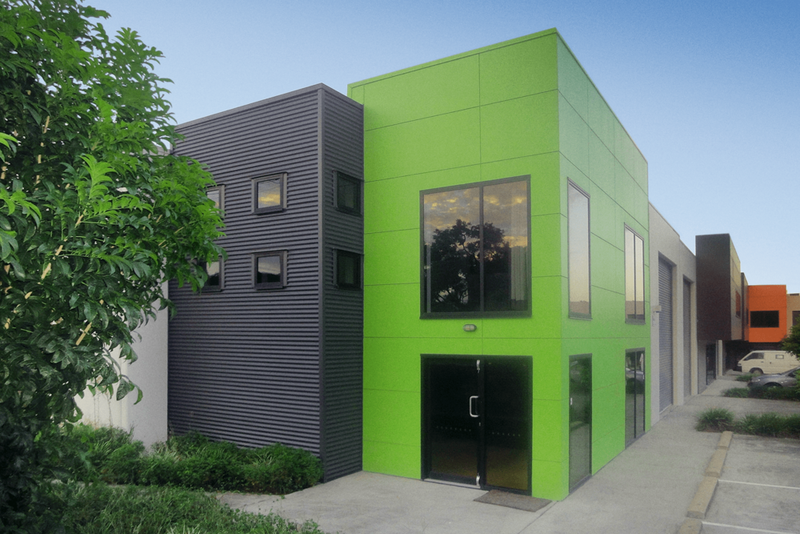 This is a fresh new industrial and commercial building with provisions for loading docks and storage. The design takes full advantage of its street frontage with a prominent design that captures and physically receives passers-by or clients very effectively. Equipped with accessible amenities and modern offices spaces this building makes functional fabulous. AAD Design achieved town planning approval for this development.